The Green 2 class at 45th Street is learning about Curious George. Each age level approaches the literacy movement in different ways. In our Red Rooms (2s), each class chooses a book or character to study. By focusing on a smaller, visual aspect of the books (be it one particular book or one character), younger students are better able to absorb the information at hand. At the 76th Street location, the Red Rooms are conducting a character study on “Pete the Cat,” the eponymous figure created by James Dean. The 86th Street Red Rooms engaged in a two-week book study of Harold and the Purple Crayon by Crockett Johnson. The Green (3s) Rooms, as they are a bit older, embark on an author study. Each classroom spends several weeks reading books written by the chosen author. Children will learn what an author does, and what an illustrator does. 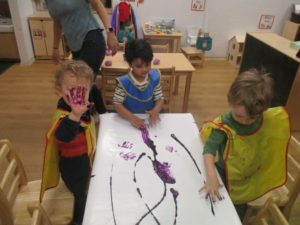 They will also be exposed to pre-reading components such as rhyming and letter/sound associations, and story-related elements such as settings and characters. 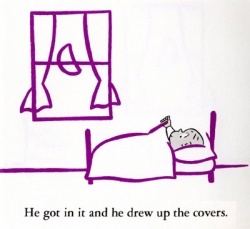 Students begin to make a variety of visual, verbal, and auditory connections, an important learning skill in preschool that they will use in future years: text-to-text (comparing and contrasting between books) and text-to-self (noticing similarities between events in the book and events in his/her own lives). 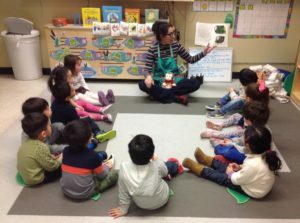 This year, the authors being studied in The International Preschools’ Green Rooms include Dr. Seuss, Maurice Sendak, Don Freeman, Karma Wilson, Eric Carle, and Jan Brett. Be sure to visit the blog next week, when we will delve into the Pre-K (4s) and Junior K (4s/5s) author studies! To purchase books by any of the authors listed above, while also supporting The International Preschools, click here. Interested in joining our community? Apply online by clicking here.